Florence Welch is raw and unbridled on High As Hope, her first record since 2015's How Big, How Blue, How Beautiful. Lead single "Hunger" proves to be one of the most direct songs of her career — encouraging connection and speaking of filling one's life with addictions and excesses in the search to find love and meaning over a layered beat and backing vocals. Welch has achieved control over her unmistakeable, vibrato-laden vocals, which she uses on High As Hope to trace outlines of her upbringing in South London. The drama at the centre of her music is juxtaposed with intimacy, whether it be in the strings' accents on "Big God" or the muted piano and jingles in the background of "Sky Full of Song." These songs have been paced in a way that allows Welch's delivery to avoid becoming overpowering, creating an accessibility to an album that features lyrical specificity — references to a drunken past in Camberwell — coupled with surrealist imagery, heard in "Grace." Welch is enlivened on "Patricia," while a groove is present on "100 Years." 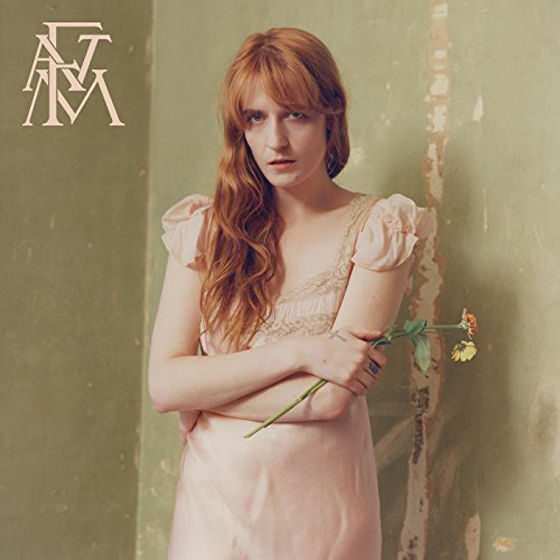 Florence stays true to her palette of strings, piano, bass, drums — and yes, some harp, reminiscent of 2011's Ceremonials — but there is a feeling of freedom and experimentation, as well as a true love of the creation of song heard in this music. High As Hope is a welcome chapter in Florence + the Machine's career. Welch is writing reflectively but with a firm rooting in the present; singing with clarity about life's biggest questions as she and her fans continue to figure it out side-by-side, in both the loud and quiet moments.